These items are designed for real firearms. Proper fitment on airsoft guns cannot be guaranteed by Airsoft GI / GI Tactical. Modification may be required. 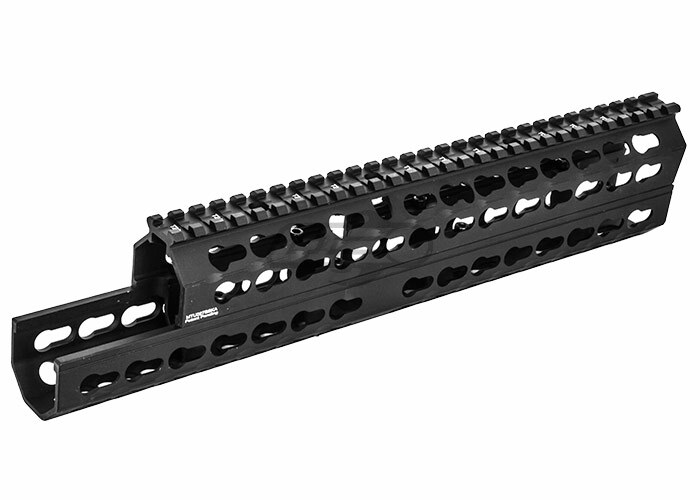 The UTG Pro 13" Keymod Compatible Handguard is great for those searching for a more aggressive and tactical set up. The additional rail space is a huge advantage for adding accessories. UTG has done a great job on stress testing the rail system through a vast amount of tests. The ergonomic design compliments its well placed grooves on the rail surface for a solid grip and increased comfort. 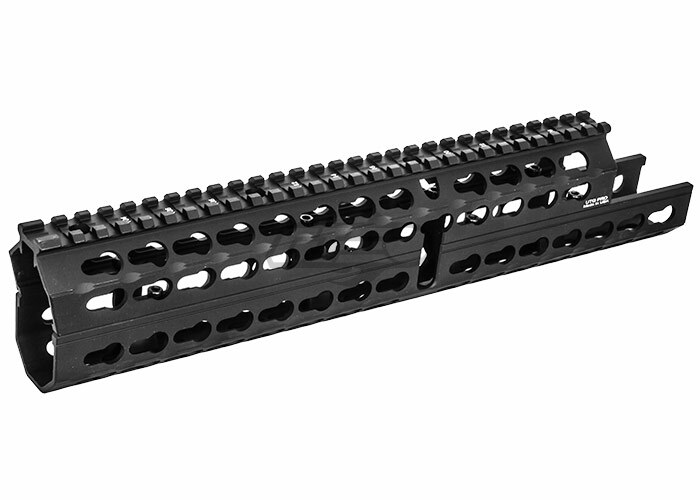 There is no disappointment when it comes to the overall quality and finish of the UTG Pro 13" Keymod Compatible Handguard. Compatible with Romanian, Bulgarian or Other Variants That Have Handguard Retainer Sling Loops. Shipping is calculated based on weight, and the heavier a package is, the more the price will be to ship, especially for international shipping.